Learn more about Belize and other countries in our daily postcard e-letter. Simply enter your email address below and we’ll send you a FREE report – Belize: The Top English-Speaking Retirement Haven in the Caribbean. Is Belize a Safe Place to Live? 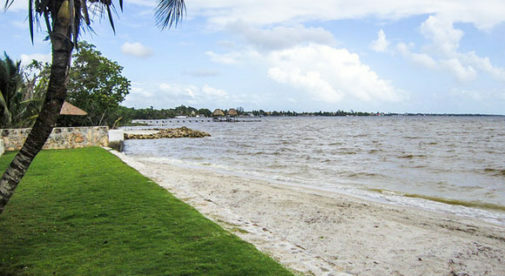 Sue and George’s interest in Belize was piqued in 2010, while still living in Los Angeles. Sue read an AARP article about retiring in Belize and George watched an International House Hunters program about building a home there. George had long dreamed of building their ideal retirement home. But the Paolettis knew that it would be exorbitantly expensive to do so in Southern California. Having grown up in England, Sue hates rain. “When I researched Belize I discovered that the rainfall in Corozal in the north is only about 60 inches per year. So in February 2011, we took a two-week trip to Corozal,” she says. They had no intention of buying land on that very first trip, but two days before they were due to visit Corozal, they learned that a new subdivision had just opened, south of town. While in Corozal they checked out the property options. Reflecting on their move, Sue explains how their lives have improved since they came to live in Belize. Local expats immediately welcomed the Paolettis with open arms. “I was invited to join the Corozal Women’s Forum, the Roots and Shoots Garden club, and yoga classes. George was invited to play golf and poker. He’s now the manager of the golf course, where he spends three mornings a week playing golf,” says Sue. Sue and George have halved their cost of living and love small-town life in Corozal, Belize. 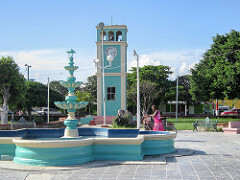 The fact that Corozal is a small town appeals to the Paolettis. “I love living in a small town; I can get anywhere in 10 minutes,” Sue says. “I constantly bump into people I know…not something that happened regularly in Los Angeles.